Two Sides of The Same Coin: Liability Imposed on a Dog Owner in a "Dog Bite Case". New Orleans best dog bite lawyer know that each dog, like people, have different personalities. Different experiences in life mold us into whatever we will ultimately become. The same is also true of dogs. Some dogs may be more prone to bite another person. A dog may have been abused, shy, sick, old, afraid, excited, or ill-trained which are all reasons that a dog may bite. Louisiana's best dog bite attorneys will tell you that generally, an owner assumes the responsibility for their dogs behavior and is liable for the damage their dog occasions. There are two doctrines of law that may be relied on when imposing liability on a dog owner whose dog has caused damage or injury to another through biting. There is the "One Bite Rule" and the doctrine of strict liability. Each state has adopted one or the other to govern dog bite cases. The states that employ the doctrine of strict liability have created "dog bite statutes" However, if the statute is vague or does not provide enough guidance for a court to make a solid decision, the "One Bite Rule" may also be considered. Additionally, all courts, regardless of the state or rule, will likely consider jurisprudence if presented in a favorable manner by counsel. The "One Bite Rule" seeks to determine whether the owner of the dog knew or should have known whether the dog was likely to bite a person. This rule has fallen under much scrutiny due to the misconception that a dog is allowed to bite once without any repercussions for the owner; however, this is not true. Surely, a previous bite does put the owner on notice that the dog is likely to bite and that the owner will need to take further precautions to protect others and their pet from this behavior. Nevertheless, this is not the only way that a dog owner is put on notice. 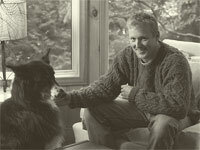 A plaintiff may present other circumstantial evidence to the court indicating that the owner was aware of the dog’s propensity to bite. This evidence may include but is not limited to: prior complaints about the dog, growling, jumping, or barking. For example, if a dog owner knows that their dog has a habit of jumping on house guests in excitement and fails to warn the visitor of this or fails to restrain the dog properly, he may be liable for bites, scratches, or any other injury caused to the guest even though it was an accident. There is much gray area to be determined under this rule leaving considerable discretion to the court in deciding the liability of the dog owner. While the "One Bite Rule" is effective for those states that choose to use this doctrine for determining liability, it is not black and white like the doctrine of strict liability. Under tort law, strict liability is a type of liability in which a person is held liable for damages or injuries to another even though he is not personally at fault. Each state which relies on strict liability for dog bite cases, has enacted their own "dog bite statute". Although the wording of the statutes may vary from state-to-state, the liability of the dog owner is relatively the same. Louisiana is one of the states which employs the doctrine of strict liability. Louisiana's "dog bite statute" can be found in the Louisiana Civil Code. Louisiana Civil Code Article 2321 states in pertinent part: "Nonetheless, the owner of a dog is strictly liable for damages for injuries to persons or property caused by the dog and which the owner could have prevented and which did not result from the injured person’s provocation of the dog." La. Civ. Code Ann. § art. 2321. This means that unless the person who sustained the injury provoked the dog, the owner is liable for the injury no matter what. As distinguished from the "One Bite Rule", it is irrelevant whether the owner knew or should have known that the dog is likely to bite. For example, if a dog is trained not to jump and has no history of jumping but jumps on a house guest in excitement and accidentally nips them, the dog owner is liable for the injury regardless of the fact that the owner had no reason to know of the injury occurring. Additionally, Louisiana Jurisprudence sets forth a test to be used in determining strict liability based Article 2321. In order to prevail in a dog bite case, the plaintiff must prove: (1) that the dog caused the damage to his person or property, (2) that the defendant could have prevented the damage from occurring and (3) that the dog was not provoked by the plaintiff. To prove the second prong, the plaintiff must show that the dog posed an unreasonable risk of harm. The case of Pepper v. Triplet established this three-pronged test. Pepper v. Triplet, 03-0619 (La. 01/21/04); 864 So. 2d 181. In this case, the plaintiff, who was a neighbor of the defendant, went into the defendant's yard without the plaintiff's permission to get his child's ball. Id. When in the yard, the plaintiff was bitten by the defendant's dog. Id. Ultimately, after the district and appellate courts found in favor of the plaintiff, the Supreme Court reversed those decisions and ruled in favor of the dog owner. Id. While the first prong of the test was satisfied because the dog did cause the injury, the other two prongs are not satisfied. Id. The Supreme Court opined that the dog did not pose an unreasonable risk of harm because the defendant's yard was completely secured with a chain-link fence and gate which was also topped with barbed-wire. Id. Further, the plaintiff was unreasonable in going into the defendant's yard without permission from the owner. Id. Under either doctrine, the goal is to protect the public from damage or injury. Such specialized laws directed towards dog owners are indicative of carelessness, whether on the part of the owner or the public. In any instance, dog owners and the general public alike, should exercise reasonable care and caution where a dog is involved. All dogs have boundaries which need to be respected by both the public and the dog owner. Even the most skilled dog expert may become hurt; hence, the heightened importance of care and caution of owners and the public. If you see a dog owner in public with their dog, always ask whether it is ok to pet their dog first. Strangers approaching may make a dog fearful and cause them to bite. If you have small children, teach them to respect dog's space and the warning signs of aggressive behavior. Never let children, jump on, pull on, or ride any dog. This results in many dog bites yearly. If you see a yellow ribbon tied to a dogs leash, this is "The Yellow Ribbon Project". The owner would like you to stay away and exercise caution near their dog. Their dog may be old, sick, or not handle children well. 4Never taunt, tease, make sudden movements, or loud noises around dogs that you do not know well. Additionally, some dogs are territorial, do not go into the yard with a strange dog. Never feed or treat a dog that you are not familiar with. Some dogs experience food aggression. Sometimes this is due to prior abuse or starvation. Additionally, never take a bone, treat, or food from a dog that you are not familiar with. Always restrain your pet with a leash and collar or harness that the dog will not be able to escape from on outings away from your home or yard. If you know your dog experiences some type of stress, avoid those particular situations. For example, if you dog does not do well around children, do not bring you dog to a park full of youngsters. If your dog is old, sick, or has recently undergone surgery, avoid stressful situations that may cause agitation for the dog. Give him time to recuperate. Tie a yellow ribbon to your dog’s leash, collar, or harness when in public to give others a head's up that your dog needs his space. Make sure your yard is secured to prevent your dog getting loose. Check periodically to make sure there are no gaps or spaces in your fencing where your dog can escape. Also, check for digging areas near the ground and the bottom of the fence. Dogs are a significant part of society. According to the ASPCA, just under 50% of households include at least one dog. Since dogs are so prevalent today, it has never been more important to be educated on the risks involved. Many of these risks can be avoided by exercising reasonable care and caution when in the presence of a dog, regardless of whether you are the pet owner or a bystander. If you fail to be responsible, you and Fido just might have your day in court.